High blood pressure can affect people of all ages – kids included, says Dr. Dorit Ben-Ezer. Blood pressure is the force of blood as it flows through the body’s blood vessels. In someone with hypertension, “There is higher pressure in the vascular system and the heart has to push the blood harder. Over time this can hurt your heart, the eyes and the kidneys,” says Dr. Ben-Ezer. Most of the time there are no symptoms and high blood pressure is under-diagnosed in kids. Therefore, as most OC pediatrician do, blood pressure check should be part of your child’s annual physical exam beginning at age three, Ben-Ezer advises. Just like in adults, high blood pressure in children can result in serious, long-term health problems and can cause a stroke. 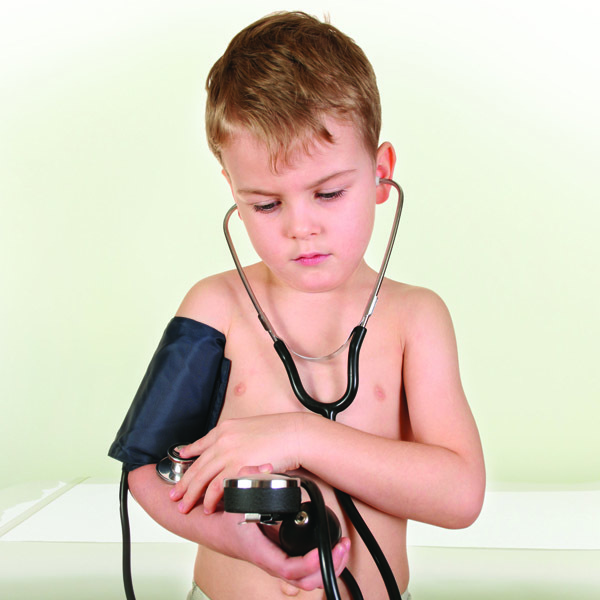 “High blood pressure in kids can also indicate high blood pressure in the person as an adult. It’s important to pay attention to it in childhood,” says Dr. Ben-Ezer. Obesity is the most common cause for high blood pressure in kids today, followed by kidney problems, she notes. High blood pressure is common in children who suffer from kidney disease or have a kidney problem. Early detection and treatment of high blood pressure help young kidney patients reduce the chance of complications. “When we see children diagnosed with high blood pressure, many times we find the cause to be a previously undiagnosed kidney problem she says. If necessary, a pediatrician can refer your child to a special kidney doctor called a nephrologist. 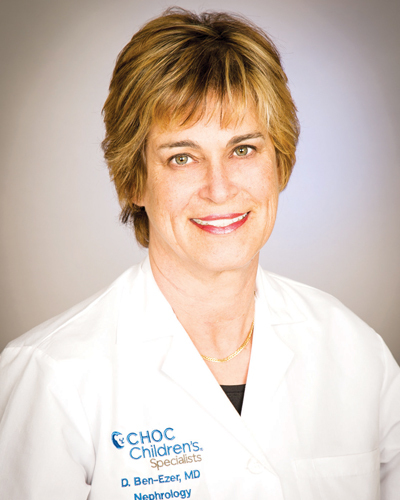 Dr. Dorit Ben-Ezer is the medical director of CHOC’s Nephrology Program. She specializes in kidney disorders including renal failure, hypertension, kidney stones and dialysis. Dr. Ben-Ezer completed a pediatric nephrology fellowship at the UCLA Center for the Health Sciences. She completed her residency at Soroka Medical Center in Beer-Sheva, Israel, and her internship at Chaim Sheba Medical Center in Tel-Hashomer, Israel. Dr. Ben-Ezer has traveled on volunteer medical missions to underserved areas around the world, including India and rural Ecuador. Most people think high blood pressure (also called hypertension) affects only adults, but kids can have it too. While most children with hypertension don’t face the same immediate risks that adults do, high blood pressure can still put children at risk for serious health complications later in life. 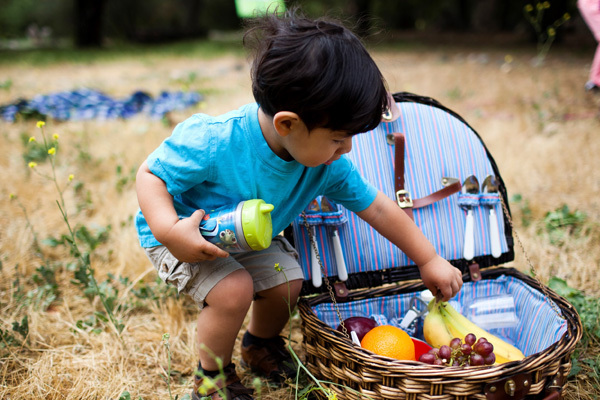 Parents can do several things to reduce their child’s risk of developing high blood pressure. Learn more about preventing high blood pressure on our Blog. 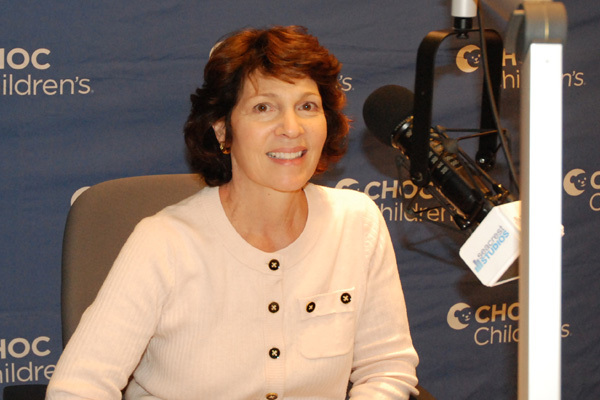 Just in time for American Heart Month (February), CHOC Children’s Clinical Dietitian Joanne DeMarchi offers helpful tips to CHOC Radio listeners for promoting cardiovascular health. She stresses the importance of evaluating the family’s entire diet to ensure a wide variety of foods, especially fruits, vegetables and whole grains. While consumers should avoid or limit saturated fats and trans fat, they should consider healthy fats. Joanne says monounsaturated fats and Omega- 3 fatty acids play a role in a healthy diet. People can boast their Omega-3 fatty acid intake by eating fish twice a week. Children who don’t have heart problems as kids may develop them as adults, due to risk factors like obesity and hereditary factors, says Dr. Linda E. Muhonen, a pediatric cardiologist at CHOC Children’s. Risk factors that contribute to coronary artery disease and other cardiovascular diseases include smoking, poor diet that can lead to dyslipidemias, high blood pressure and a lack of exercise. These often take root at an early age. “An obese child has an 80 percent chance of being an obese adult, and obesity can contribute to the onset of multiple illnesses including diabetes and hypertension,” says Dr. Muhonen. It’s normal for young children to be scared of the dark, or apprehensive when they experience a new place, for example for a six-year-old to be afraid of going to the doctor. Parents can prepare their kids by talking these things.